As most of you know by now, I am leaving SAYL due to a family matter. As I look back over the last year I am proud of the transformation I have witnessed at SAYL. When I came on board I distinctly remember hearing every day from the SAYL staff, “Do you have internet?” That is not what you want to hear when you are trying to run a business! Today, the infrastructure is in place and the Reading Buddy Program is solid… Read full article here. 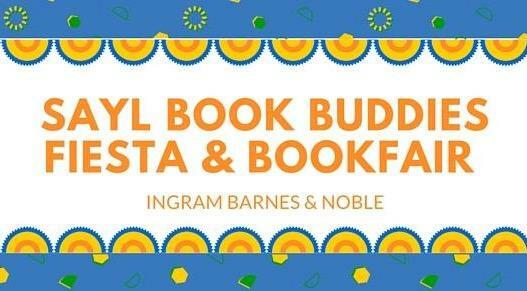 Join us Sunday, April 17 for our SAYL Book Buddies Book Fiesta being held at the Barnes & Noble Ingram, 6065 N.W. Loop 410 Suite 185. The SAYL Book Buddies Initiative will receive 10% of your purchase when you give the checkout clerk the bookfair voucher (Voucher #11815461). Take some time occasionally in your reading sessions to read TO your students. Remember that their listening comprehension is higher than their reading comprehension, so they can understand and enjoy a story that they might not be able to read on their own. Select a book from the SAYL trunk at a higher level or visit the school’s library. 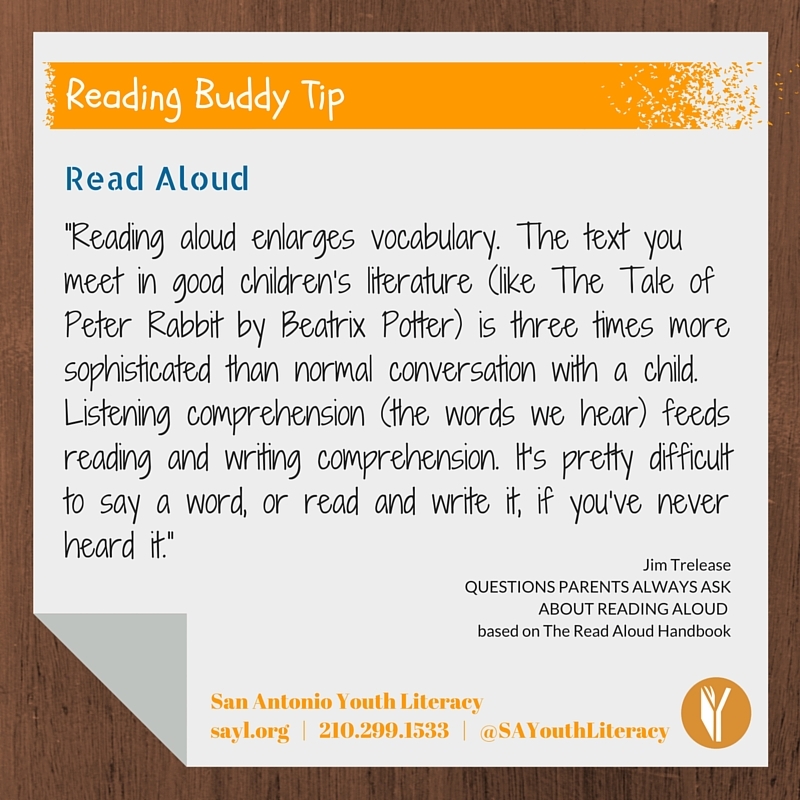 See the full list of the tips for Reading Aloud here. Our April Reading Buddy of the month is Officer Leigh Holderby. This is Officer Holderby’s first year as a Reading Buddy at Ball Elementary. 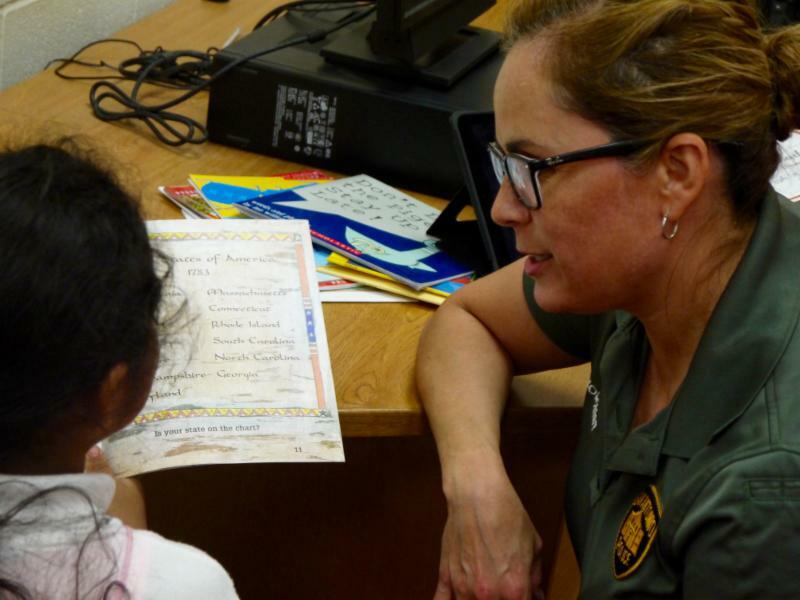 When our staff met Officer Holderby for her day of tutoring she was enthusiastic and excited to meet her two students. Read more about Officer Holderby here. 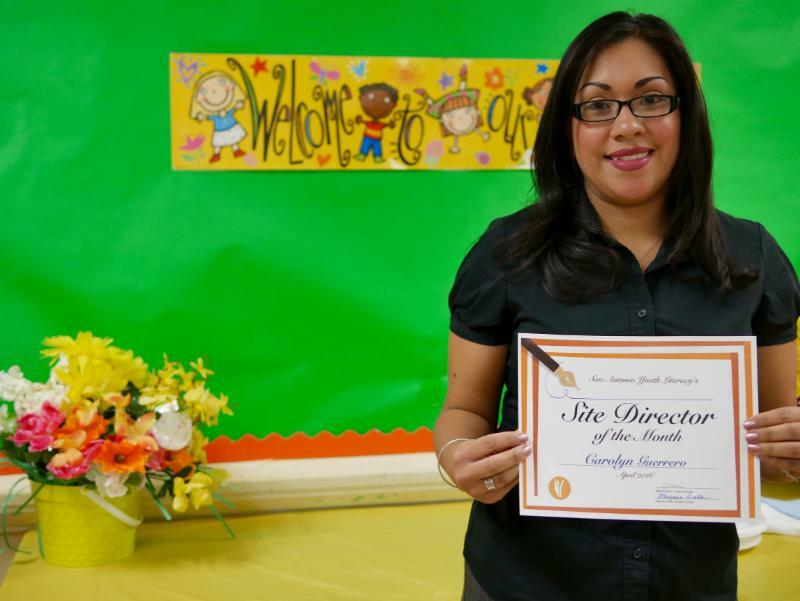 Carolyn P. Guerrero is the Parent Family Liaison at Hupperz Elementary and our April Site Director of the month! Ms. Guerrero has always been a great booster of the the Reading Buddy Program. 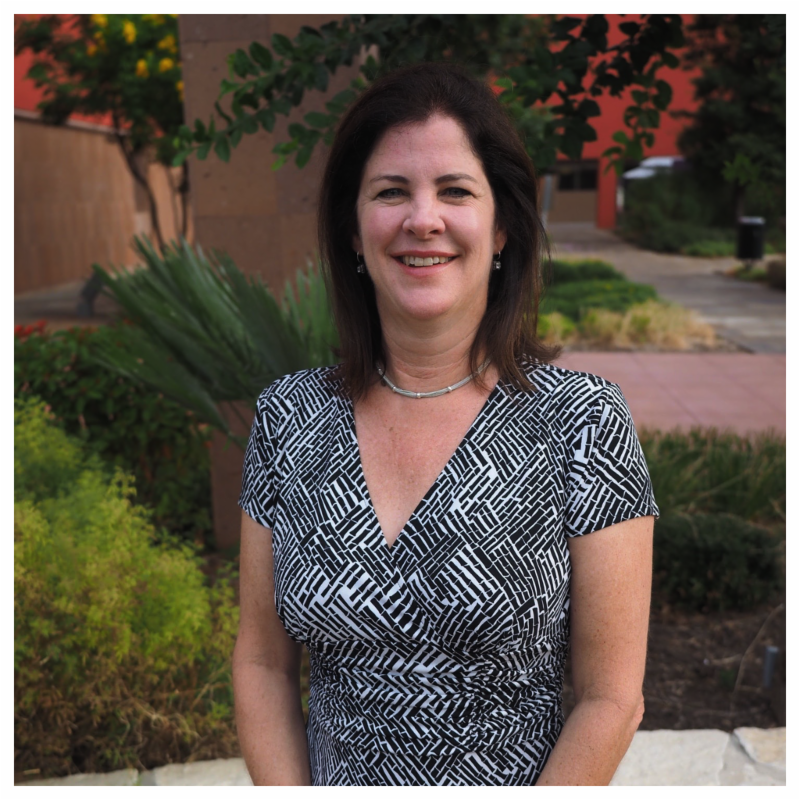 In addition to her roles at her school, she helps us coordinate the program and can also be seen promoting SAYL at SAISD parent events. Read more about Ms. Guerrero here. A special thank you to the Mays Family Foundation for its recent grant award in the amount of $10,000. 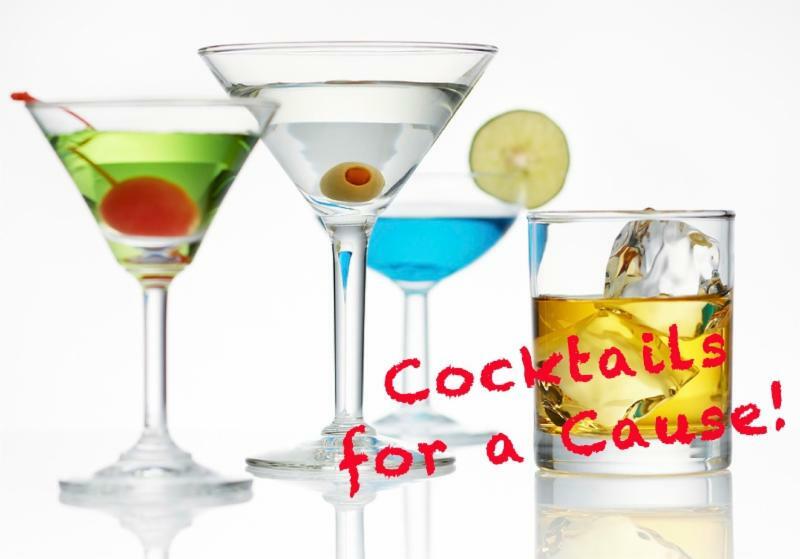 The Mays Family Foundation is committed to supporting the communities in which they live, work and serve through causes that aid, empower, enrich and educate. SAYL appreciates their commitment to education and our Reading Buddy Program.